You are currently browsing the archives for the Remodeling overview category. Everyone knows renovating a home can be a strain on any relationship. But according to this article in the New York Times, it helps if you remodel in the early months of a romance! The article discusses science writer Hannah Holmes and a renovation project she and her new husband undertook, shortly after their marriage. The oxytocin and dopamine (chemicals associated with feelings of romantic love) swirling around their brains made the whole project go smoother. This entry was posted on Thursday, February 12th, 2009 at 8:58 am	and is filed under Remodeling overview. You can follow any responses to this entry through the RSS 2.0 feed. You can leave a response, or trackback from your own site. I recently came upon a great site called The Home Decor Blog. 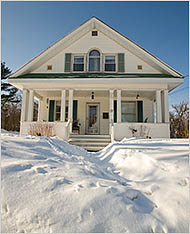 It has a lot of great information for home owners, including lots of fantastic photos. But what really distinguishes it from the crowd is that it tells the complete story, from start to finish, of the renovation of a 70’s era home that was purchased in foreclosure. This entry was posted on Saturday, December 20th, 2008 at 11:30 am	and is filed under Remodeling overview. You can follow any responses to this entry through the RSS 2.0 feed. You can leave a response, or trackback from your own site. In today’s dismal housing market, it’s important to plan ahead if you’re planning on putting your home on the market. Here’s some good advice on basic improvements you can make that can add tremendously to its value. This entry was posted on Friday, August 1st, 2008 at 10:22 am	and is filed under Remodeling overview, Selling Your Home. You can follow any responses to this entry through the RSS 2.0 feed. You can leave a response, or trackback from your own site. Here’s an article in the New York Times about the reality of renovating. Before you try a project like that, make sure you know what you’re getting into! 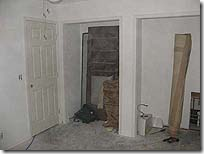 This entry was posted on Monday, July 28th, 2008 at 11:02 pm	and is filed under Mistakes, Remodeling overview. You can follow any responses to this entry through the RSS 2.0 feed. You can leave a response, or trackback from your own site. There’s so much to consider when renovating. This article gives a good overview of the many steps to follow when remodeling. 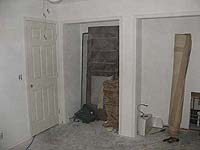 This entry was posted on Saturday, July 19th, 2008 at 11:27 am	and is filed under Remodeling overview. You can follow any responses to this entry through the RSS 2.0 feed. You can leave a response, or trackback from your own site.